All of them look pretty awesome. I would say the two bottom combinations with the sledgefire and demolisher look the best. Thanks for sharing this, vigilante! It was a fun project. No problem man, thanks for making it! Everything in the world just got a whole lot better. 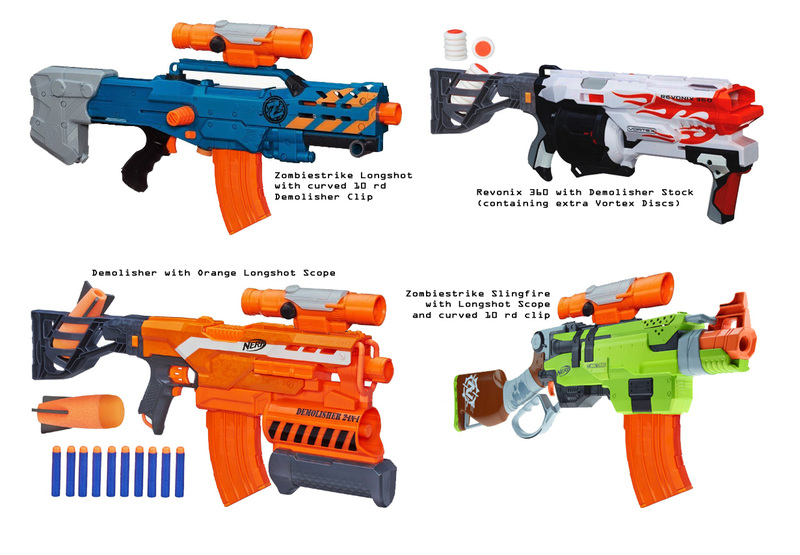 The nerf double shot , demolisher 2 in 1 , zombiestrike longshot and nerf cam ecs have showed up in smyths uk. Or, how about this one here? That looks pretty sweet man! And your right, it would help justify the high cost of the blaster.